Mr. Luke Spiros is principal euphonium and featured soloist with the Virginia Grand Military Band, one of the finest symphonic bands in the country and is presently performing with the Cleveland Symphony Orchestra's Blossom Festival Band. 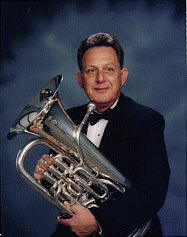 Previously he held the position of principal euphonium soloist with the US Marine Band, Washington, DC for 23 years. During his tenure with the Marine Band, or the "President's Own", Luke appeared as featured soloist in major concert halls and auditoriums from coast to coast. His musical artistry and virtuosity have been appreciated by critics and audiences alike, as indicated by excellent reviews and standing ovations. Luke has been in demand as a soloist and clinician at major conferences and symposiums thoughout the United States, ranging from high school to university and professional levels. His appearances have varied from Barnum and Bailey Circus, soloist with Walter Smith Band of Boston, Mass. to faculty membership on the New York Brass Conference for scholarships at Boston University, New York University, University of Vermont and Harte College of Music, to clinics at Interlochen and Elon College's National Brass Clinic. 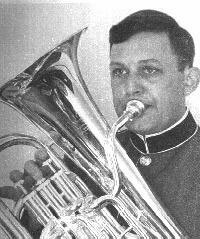 He has written numerous articles and composed many solos for euphonium in which he illustrates the vast potential of the instrument; modern symphonic band composers are writing increasingly demanding passages in the extended range and Luke's enligntening discussions have helped performers meet the challenge.